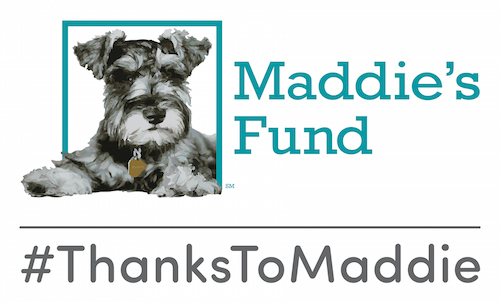 Made possible by Maddie’s Fund®, the Certificate in Shelter Medicine provides an intensive training program for future veterinarians interested in helping millions of homeless animals – one at a time. Students are encouraged to join the Shelter Medicine Track as soon as they have an interest in the program. Are you a University of Florida veterinary student interested in pursing your Certificate in Shelter Medicine? Our student services coordinator will follow up with you to complete enrollment requirements, which include signing up for important shelter medicine blogs and joining the Association of Shelter Veterinarians. You will receive an email that you have been added to the E-Learning group for Maddie’s Certificate in Shelter Medicine. You’ll automatically receive information about signing up for classes, scheduling advisor time, and other activities via the E-Learning site. Still deciding, or ready to learn more about the program? Simply view the Certificate in Shelter Medicine Overview. Please note that the Certificate Program is being streamlined for Class of 2015 and later. Requirements for these classes will vary from those currently posted for Class of 2013 and 2014. Contact us with any questions. Head over to Facebook and “like” our pages to stay up-to-date with Maddie’s Shelter Medicine Program and Shelter Medicine Club (SCASV) news and events. Want to be even more in touch with the field? Meet a few of our favorite friends! Get started in our UF Shelter Medicine community before even taking a class! These events are a great opportunity to connect with fellow students interested in shelter medicine (as well as faculty, interns, and residents), engage with national leaders in the field, learn about new topics, and delve into clinical techniques.